I was never all that excited about the Back to the Future Delorian (well, after I saw the end pics). But this? Woohoo! I love it! 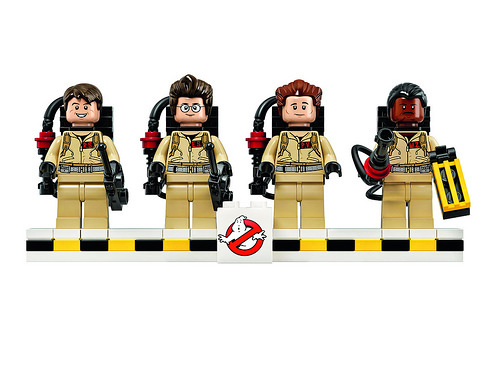 Now I really need to get the modular firehouse so I can rework it into the Ghostbusters theme. Stoked! I’m excited to see the 1×1 round plate with hole in red, and the bullwhip in black, both of which are new colors. The official set looks fantastic! No complaints — I’ve gotta have one. I’ve been waffling on getting the BTTF set, but this is an absolute must-buy for me for how well LEGO has nailed this. 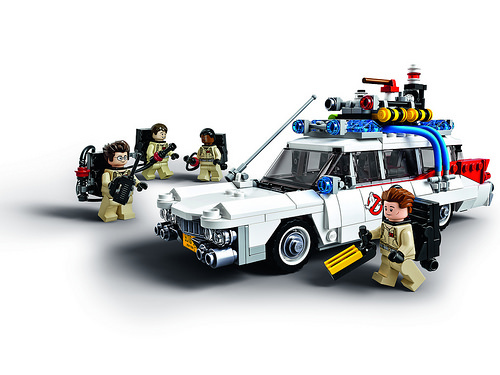 The detail of the build in the ECTO-1, how well the figures capture the spirit of the each of the characters, and the details of the brick-built proton packs and traps all combine for a fantastic set, not to mention a pretty good price point for everything that’s included. Great design by Brent Waller. Just wondering why Brent made the suits in a beige color & surprised that the LEGO CUUSOO Designers approved this. This is a historical inaccuracy. The Ghostbusters wore grey suits in the original 1984 Film. The beige color suits were not introduced until the sequel in 1989. This is my only criticism of an amazing LEGO set.